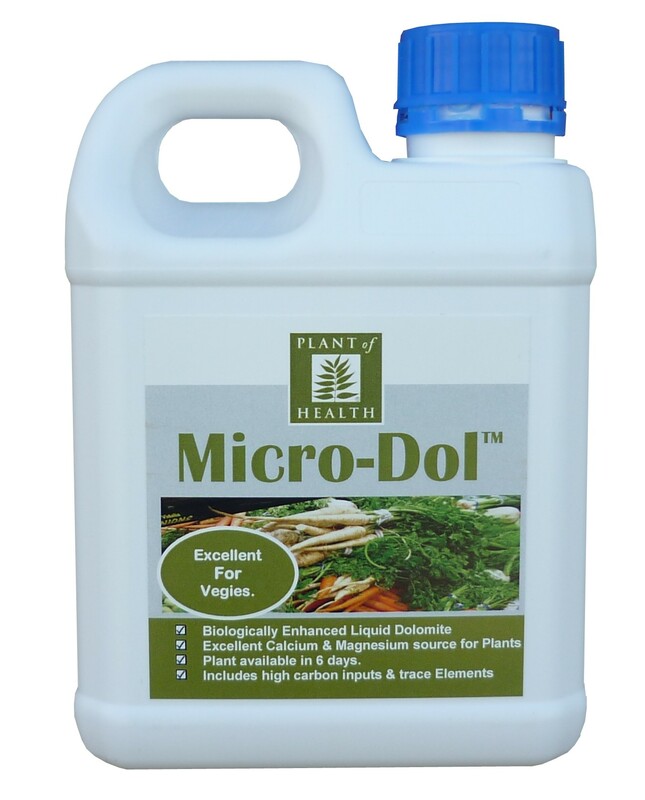 Micro-Dol - Liquid Dolomite is a quick easy way of providing a calcium & magnesium boost to ensure plants and crops have luxury levels of these essential elements for excellent health, vitality fruit quality and production. Calcium has been described as "The Prince of Elements" by leading soil scientists due to the significant roll it plays in plant and soil health. It's chemical, physical and biological effects in our environment means a continuous supply of calcium is needed for optimum health, yield and quality. Calcium is the main constituent of all cell walls and the transfer of materials in and out of cells. Magnesium, like calcium, is also considered an essential plant element necessary throughout the plant crop cycle for optimum health and vitality. Micro-Dol is a quick easy way of providing a calcium & magnesium boost to ensure plants and crops have luxury levels of these essential elements for excellent health, vitality fruit quality and production. Calcium plays a significant roll in raising brix levels because of its ability to promote the uptake of other elements and magnesium is often deficient especially in demanding plants. Micro-Dol will ensure luxury levels for your plants and fruit are of optimum quality, sweetness, size with maximum shelf life. a key roll in resisting insect and fungal attack.